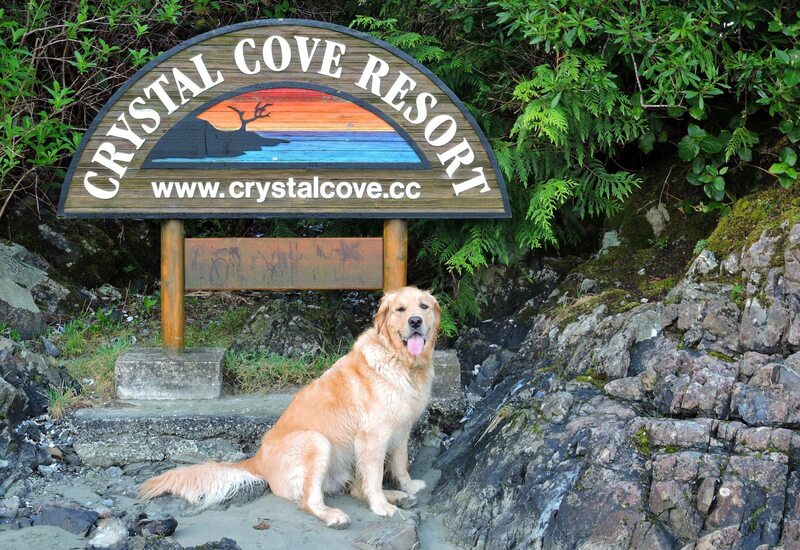 Gorgeous grounds, rustic-chic log cabins, and caring staff make Crystal Cove Beach Resort in Tofino stand out as an exceptional family accommodation. 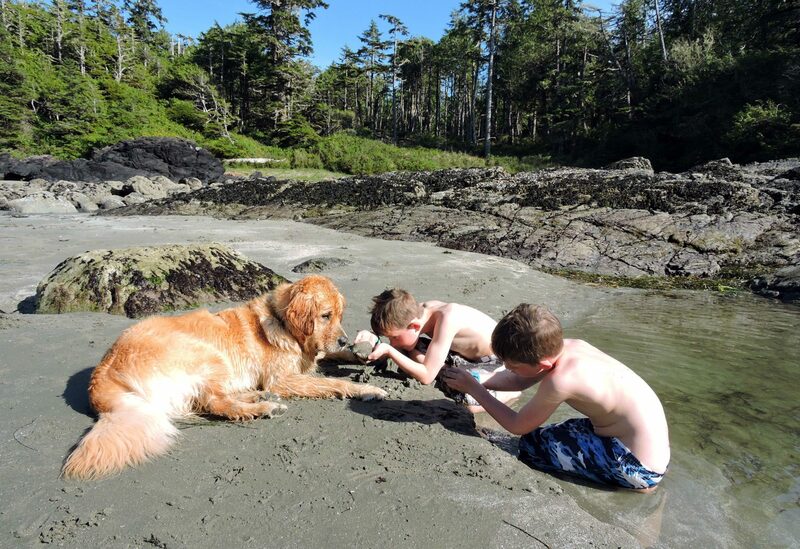 Gorgeous grounds, comfortable rustic-meets-modern cabins, and caring staff make Crystal Cove Beach Resort stand out as an exceptional family accommodation in the Tofino area. After hours in the car driving to our destination, a collective “ahh” was heard as we as we drove onto Crystal Cove’s property. Excited to begin our holiday in Tofino is an understatement, especially because our mini-van was full of surf rental equipment from our stop at Long Beach Surf Shop. I LOVE family vacations in Tofino and we know you will too, but it’s important to get the accommodation right. With many accommodations to choose from, only one can get the coveted #1 Trip Advisor rating for resorts in Tofino. Crystal Cove Beach Resort has it. But do they deserve it? 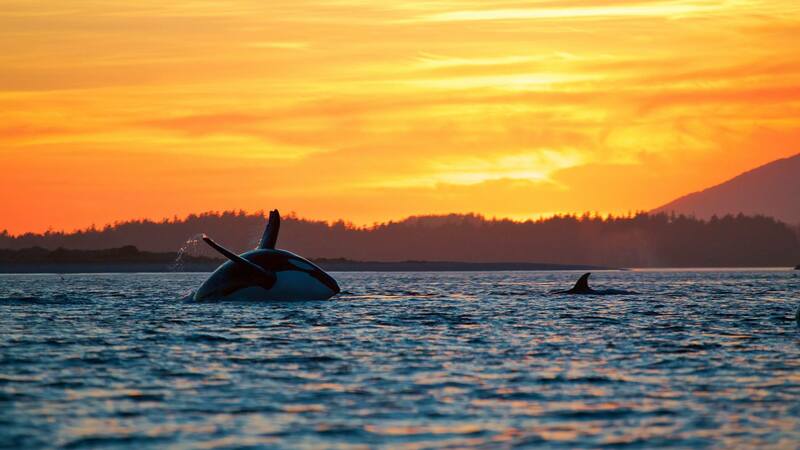 Tofino is one of the most popular spots to vacation on Vancouver Island. Second only to Victoria. During the summer it’s actually impossible to find an open accommodation without a reservation. We’ve heard rumours of people just pulling over on the side of the road with no choice but to sleep in their cars. The Pacfic Rim Region is stunning and yes, this beach town area is beautiful and activity-filled. It goes without saying, but I’ll say it anyway… book as early as possible and don’t mess around if you’re serious about vacationing in Tofino. There’s no need to get an adjoining room here. Crystal Cove Beach Resort loves families. You can see it in every aspect of this beach resort from the playground and the shelf full of games in the main office to the configuration of the cabins themselves. We chose a 2 bedroom oceanfront cabin with a loft and it was perfect. 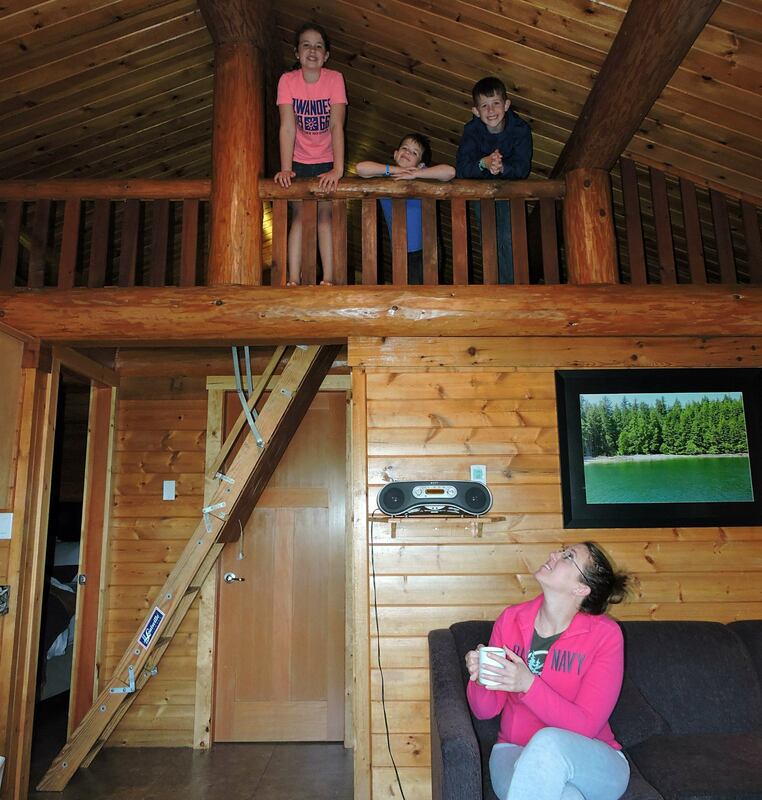 It was funny when we entered the cabin because the kids couldn’t figure out how to get to the loft. Then I noticed a pull down stair case and proceeded to blow their minds with their very own secret entrance. 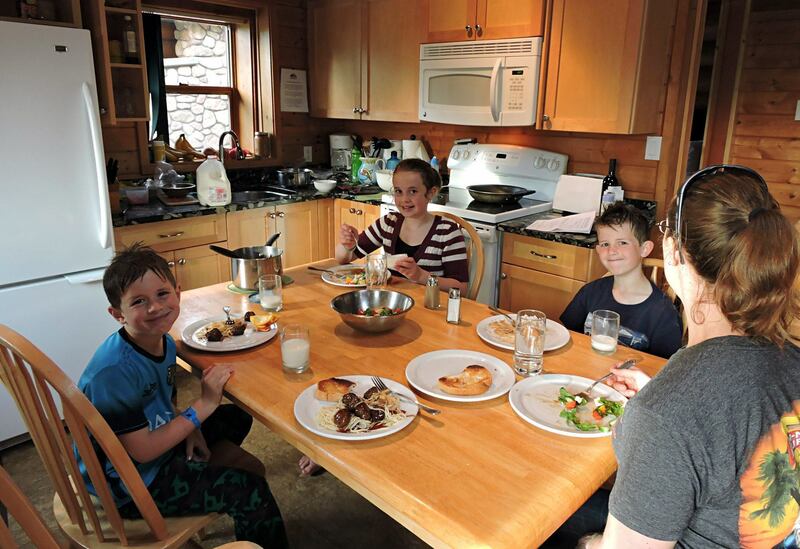 With full kitchen complete with everything you need for basic cooking, we enjoyed the convenience of making all our own meals. We brought all our food with us, but if you’d like, Crystal Cove will fully stock your kitchen for you upon arrival to make it easier for those flying in. BBQ is on the deck with a front yard picnic table overlooking the beach so be sure to keep that in mind for for menu planning. Crystal Cove has various cabin options: single king bedroom and even some with tree houses (!) attached on the second level. If it’s camping you like, then Crystal Cove has RV sites to pull into or you can even rent a parked RV of your very own. Crystal Cove doesn’t have any old beach cabins on their site. Each cabin has been updated with tile floors and bathrooms, counters, modern appliances and even heated floors throughout. This is luxury beach cabin accommodation at its best. Many have hot tubs attached to the deck for those cooler days and evenings. We were vacationing during a very warm April so we were more interested in running out the front door steps to the beach. But our cabin’s wood burning fireplace would be perfect for a cozy evening listening to the crackle and warming up during Tofino’s famous storm-watching season. Entering the cabin it was clear that having the accommodation in immaculate condition was a top priority. Even the windows were so clean it didn’t look there were any there at all. Not only are pets welcome to stay in the cabins, several of the staff bring their well-behaved dogs to work with them. One of the grounds workers had a sweet little pup that drove around in the golf cart with him all day and my daughter loved giving it a cuddle every time she passed. Crystal Cove will provide dog beds, towels and bowls for your convenience. 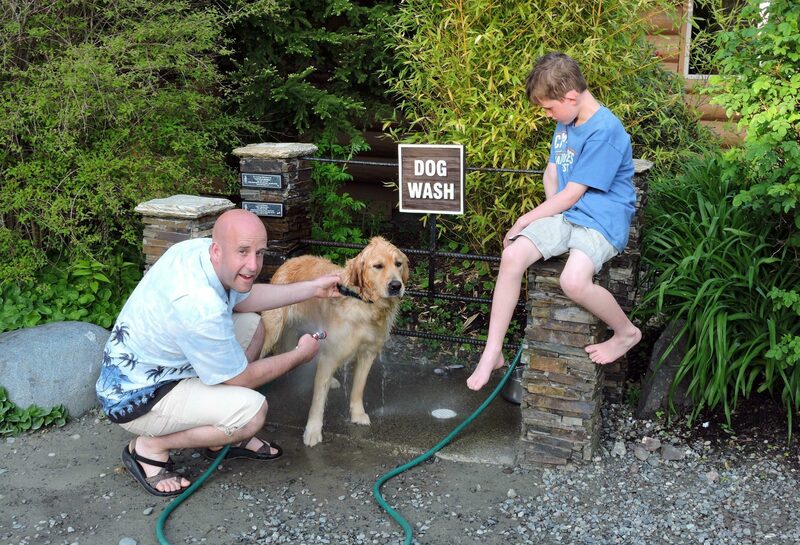 After a play in the ocean our Golden Retriever Mango got a bath at the doggie bath station. Which he hates… but we loved. 4. Everthing Is About The Guest Experience, Including The Pristine Grounds. Crystal Cove takes impeccable care of the property. When going for a family stroll we felt a bit like we were at a Hawaiian resort with all the flowers and waterfall and stream just outside our cabin door. Rarely do we see the level of care given to a a family beach cabin accommodation as we saw here. 5. Wonderfully Friendly And Accommodating Staff. Heading off on a golf cart tour with the General Manger J.J. Belanger. When you are away from home, you want to feel that warm sense of welcome and belonging. The staff at Crystal Cove oozed the aroma of natural friendliness. One night, when we were getting ready to feed our dog in the evening, we discovered the resident crows had taken the entire stash of food away with them and we had nothing to feed our dear Golden Retriever Mango. The crows in the Tofino area are as big as a small bald eagle! Anyways, one of the staff offered to go to her own home to give us some of her dog food. Now that’s service! Note: Be very careful about accommodations that just add the name “Resort” to their name on Vancouver Island. Believe me. Not every accommodation in Tofino and on Mackezie Beach deserves the title of “Resort”. That’s why you have us! Advise from the Traveling Islanders. 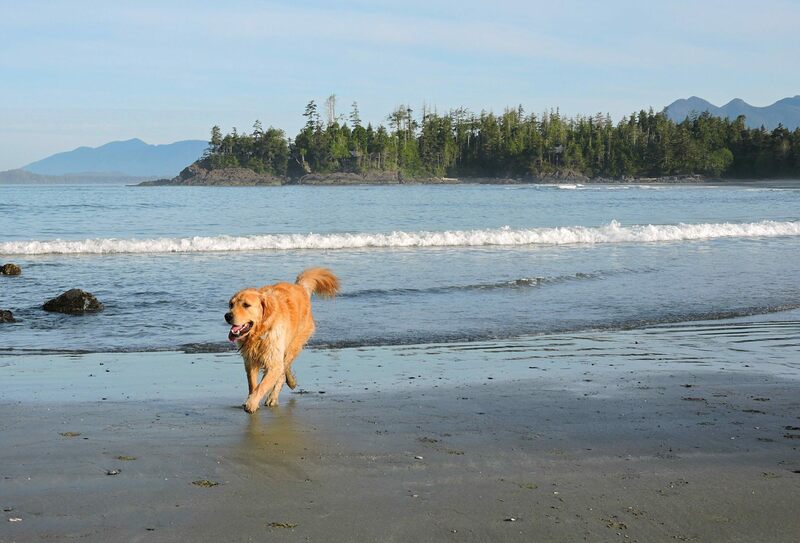 MacKenzie Beach is one of Tofino’s most beautiful beaches and Crystal Cove has prime beachfront access to it. It has sand in every direction with a nice gradual landscape. The beach is big enough to accommodate about 4 other “resorts” along the edge. If everyone is out having a fun time, there is still plenty of room. Our cabin was on the front row so we in just a few steps we were on the beach. We’ve found that any chance you can, go for that cabin closest to the beach. It truly becomes an extension to your cabin. One morning I was out with the kids looking into the tide pools. My little 8 year old looked up at me and said “daddy, can we do this every morning?”. This had to be one of my favourite memories from the trip. Although come to think of it… it’s so hard to choose what my favourite memory was of staying at Crystal Cove! Was it hiking with my boys along the small island in front of us? Playing catch with my boy on the sand? Enjoying that beach campfire with s’mores, curling our toes into the sand? Family sunsets? Walking along the beach in the morning with my Golden Retriever Mango before the family woke up? Side Note: The waves were just the right size for kids to happily frolic around without being overwhelmed. In fact the first thing we did when we arrived was do a little boogie boarding out our front door. If you’re looking for a beach with consistent bigger waves for surfing, that’s not a problem. Suit up and just a five minute drive down the road you’ll find Chesterman beach. It’s perfect for the beginner on most days and we used it for our boogie boarding and surfing time. 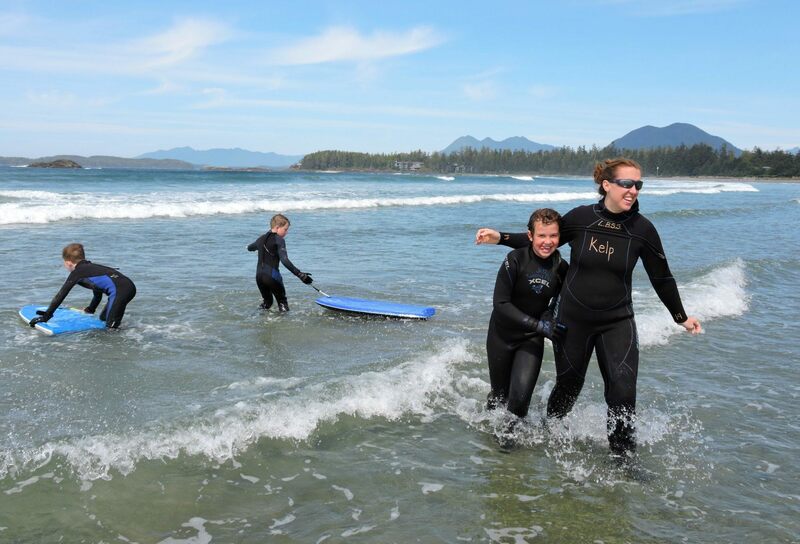 Be sure to read our beginners guide to playing in the Tofino surf or sign up for some surf lessons with Tofino Surf Adventures like we did. 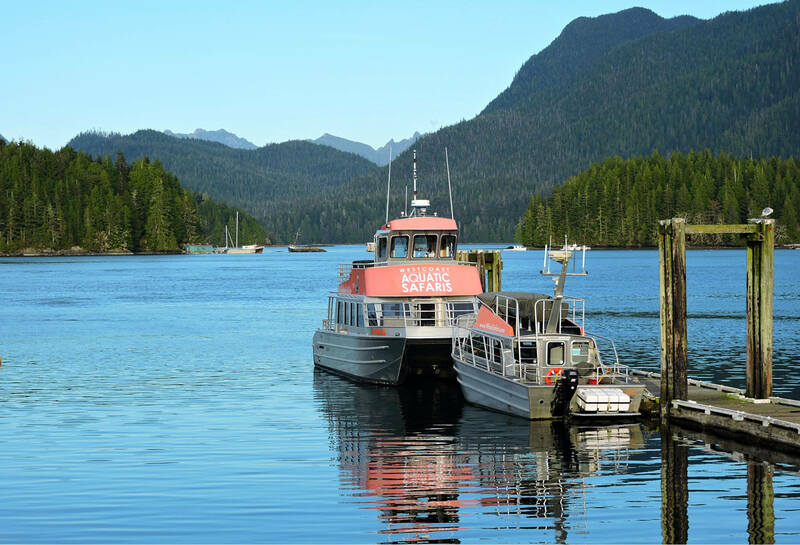 Go on a first-class Pacific Rim wildlife adventure tour with our preferred Tofino aquatic tour company. West Coast Aquatic Safaris has an impeccable safety record and we have always been impressed with our family tours. 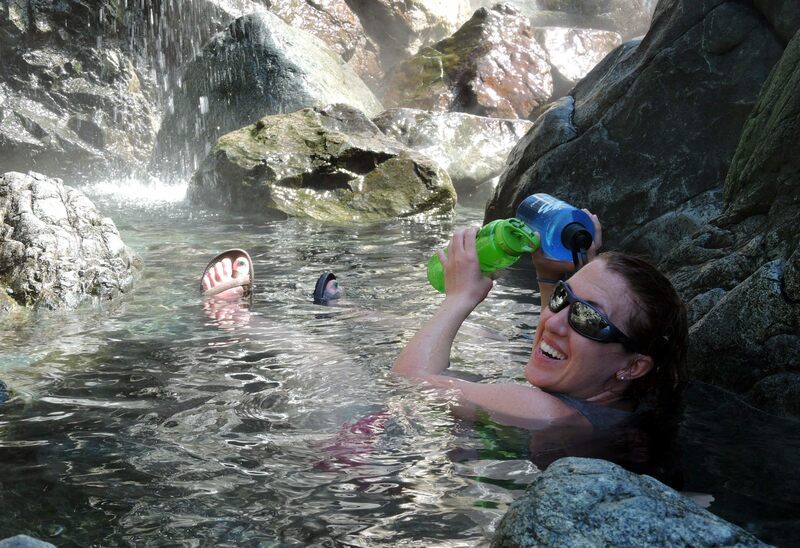 Our latest tour was to Hot Springs Cove and it did not disappoint. We saw a grey whale breach three times along the way! 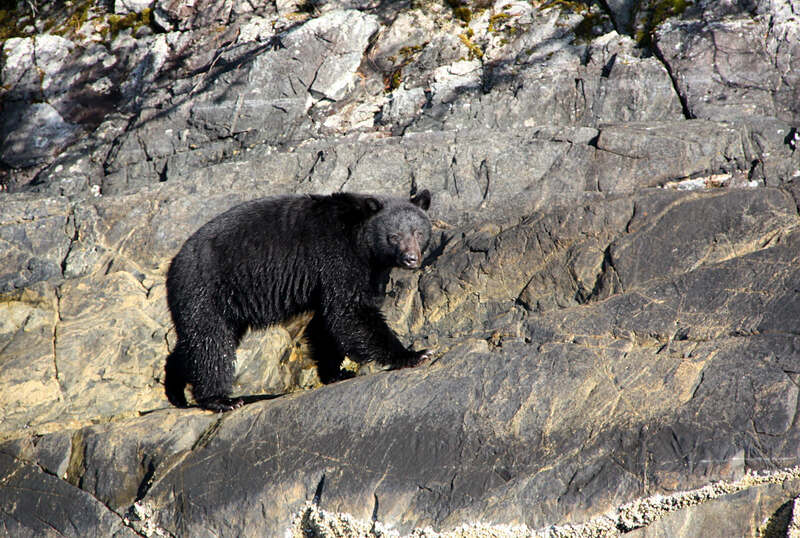 You can also try Tofino Bear watching in the morning or whale watching in the afternoon. It’s going to be so hard to choose which one… you may just have to do all three. Vancouver Island Vacation Giveaway Worth $3000!! 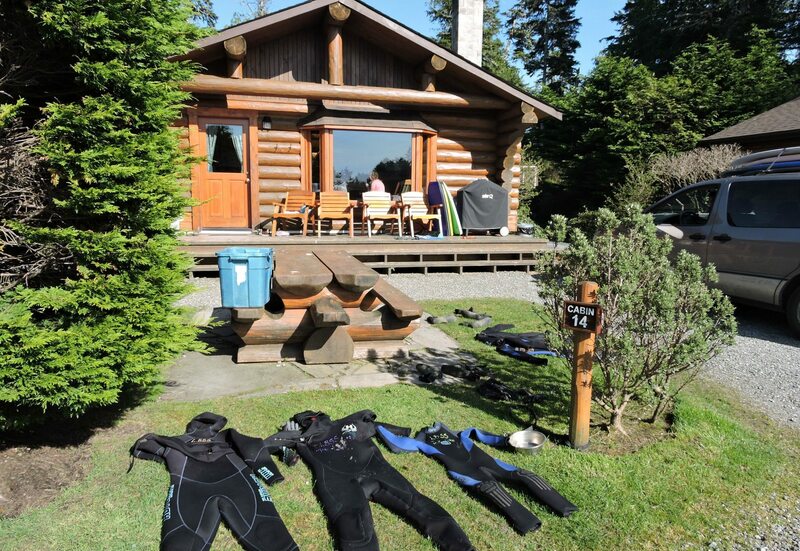 Previous postSurfing Tofino Is A Must On Your Vancouver Island Vacation Next postVancouver Island Vacation Giveaway Worth $3000! !